Origin Native over a wide area of Europe and Asia. Shapes Pearl-shaped clustered berries 6–9 mm (0.24–0.35 in) in diameter, soft, juicy, and rich in oils. Also called the sea berry, sand thorn, and sallow thorn, sea buckthorn (Hippophae Rhamnoides) is a deciduous shrub native to Europe and Asia. It is a rare species of fruit in the family Elaeagnaceae and Hippophae genus. It is a unique and appreciated multipurpose species presently being cultivated in various parts of the world, including Canada. According to Greek legend, war torn horses were set free to die a natural death. Soldiers were surprised when the horses returned from sea buckthorn forests full of health and strength with radiant, shiny fur. For this reason they named it Hippophae Rhamnoides, “tree that makes horses shine”. Hippophae salicifolia, Hippophae goniocarpa, Hippophae gyantsensis, Hippophae litangensis, Hippophae neurocarpa and Hippophae tibetana are some of the popular varieties of sea buckthorn that is cultivated throughout the world. Sea buckthorn shrubs have a remarkable lifespan of 100 to 150 years. Sea Buckthorn is a medium-sized, hardy, growing deciduous tree-like shrub, 0.5–6 meters (1.6–19.7 ft.) tall, rarely up to 10 meters (33 ft.) in central Asia. It grows along riversides, in mountainous areas, and in sandy and gravel ground and found growing profusely on a wide range of soil types, but does better in soils with a light physical structure, rich in nutrient compounds. 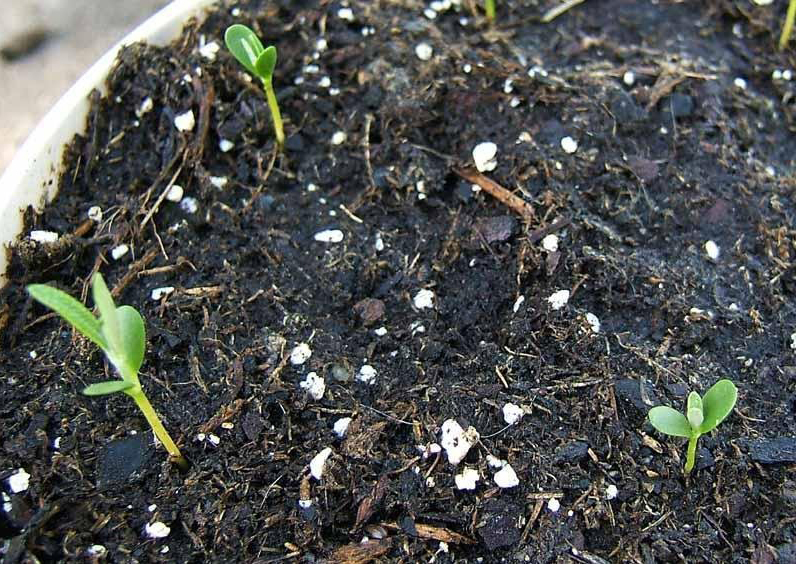 Best growth occurs in deep, well drained, sandy loam soil with ample organic matter. It has dense and stiff branches, and is very thorny. Barks are normally brown or black thick and rough and a thick grayish-green crown. Leaves are alternate or opposite, distinct green at the top, and silver-ash green on the underside, lanceolate, 3–8 cm (1.2–3.1 in) long, and less than 7 mm (0.28 in) broad. It is dioecious, with separate male and female plants. Male plants produce flowers, which create the pollen, while female bushes produce the orange berry-like fruit. Flowering normally takes place from April to mid-May. Sea buckthorn is actually a rare species of fruit from Elaeagnaceae family. Sea buckthorn berries are usually pearl-shaped clustered berries 6–9 mm (0.24–0.35 in) in diameter, soft, juicy, and rich in oils and are normally yellowish-orange colored. The fruit consists of one bony, ovoid seed. They are normally oily, bitter, sour, tart and astringent in taste but are high in nutrient value. Due to its astringent, sour and oily taste it is unpleasant to eat raw, unless ‘bletted’ (frosted to decrease the astringency) and/or mixed as a drink with sweeter substances such as apple or grape juice. 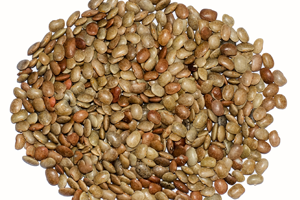 Apart from its distinctive taste it has higher nutritional value so it is extremely beneficial for all. 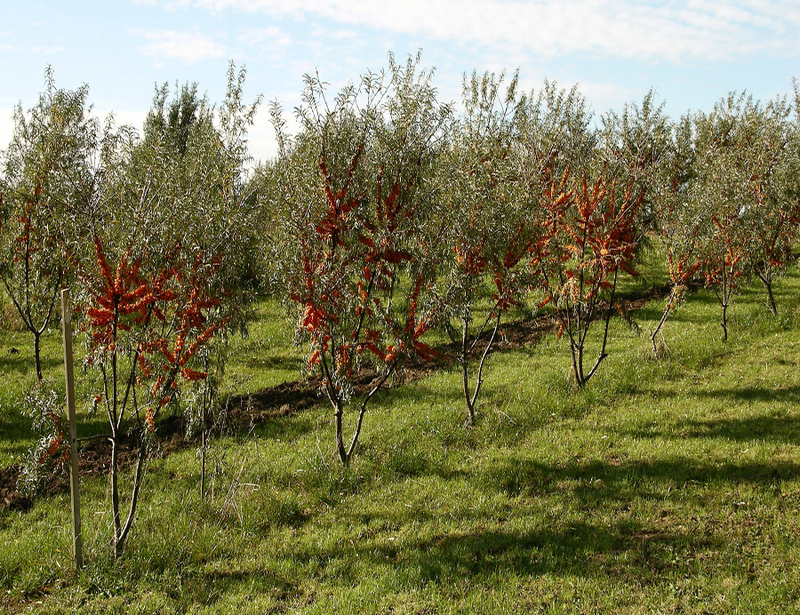 The peak season for harvesting sea buckthorn is from August to October. 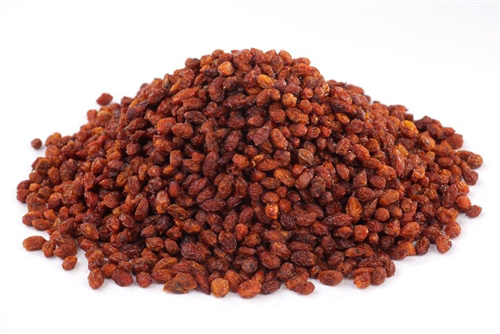 The berries and their usage were mentioned in China, 1,200 years ago, and in Tibetan medical texts around 1,000 years ago. From there, Sea Buckthorn spread over Russia and the Ukraine into Europe, finally reaching the British Isles. 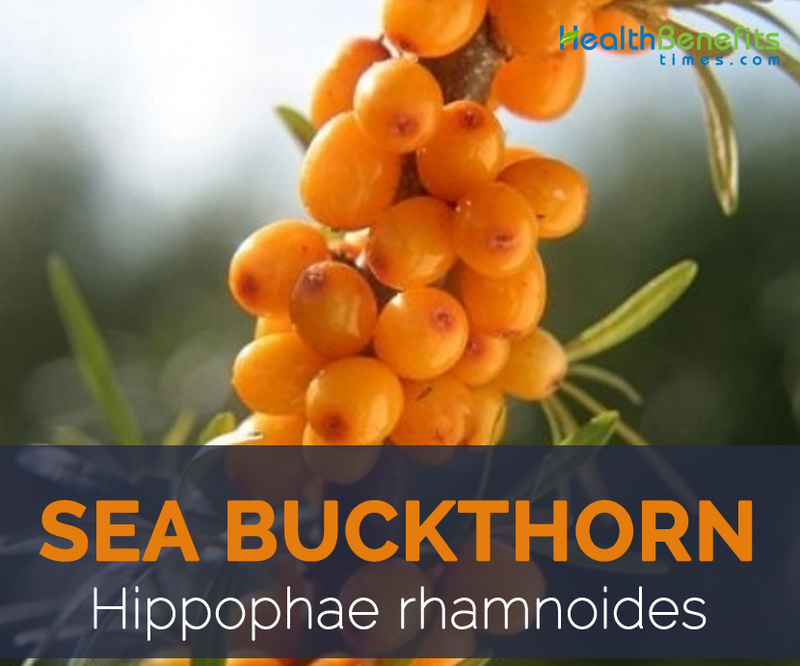 Sea buckthorn has a rich history of use in treating numerous medical conditions. It has been called a wonder plant in many Asian countries, including China, India, and Pakistan. The berries have been used for more than 1,000 years in Tibetan and Indian systems of medicine. In traditional Chinese medicine, it has been used to aid digestion and treat cough, circulatory disorders, and pain. Due to its higher nutritional value it is found uses throughout the world. The B vitamins and healthy fats contained in sea buckthorn are outstanding for maintaining brain health, and may assist in preventing or healing conditions such as Alzheimer’s and dementia. Apart from boosting immune system, buckthorn helps to improve the health of the skin, the strength of your bones, and flexibility of gums and teeth. Vitamin C contained in buckthorn berry is an essential part in the formation of collagen, which is a vital component of growth and repair throughout the body. Therefore, the high concentration of vitamin C in buckthorn berry makes it an all-around body booster that helps to speed wound healing and recovery from injuries. 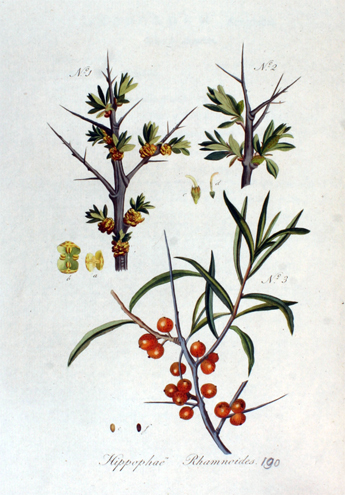 Sea buckthorn fruit are used to make pies, jams, lotions, teas, fruit wines, and liquors. Sea berry plants also contribute to making an excellent wine and liquor. 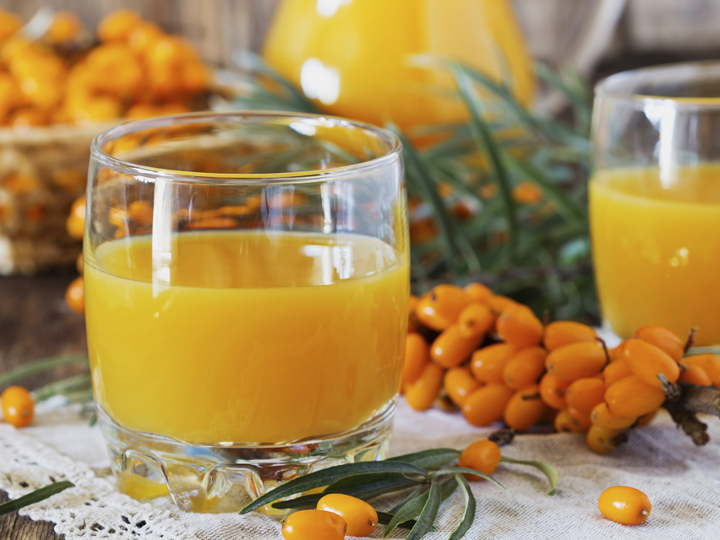 Sea buckthorn is popular as a juice and jam in Finland and other countries. Use sea buckthorn leaves to make teas. Bark and leaves are used for treating diarrhea and dermatological disorders. Berry oil, either taken orally or applied topically, is supposed to be a skin softener. Sea buckthorn fruit may be added to medications in belief it affects pulmonary, gastrointestinal, cardiac, blood or metabolic disorders in Chinese, Tibetan and Indian medicines. 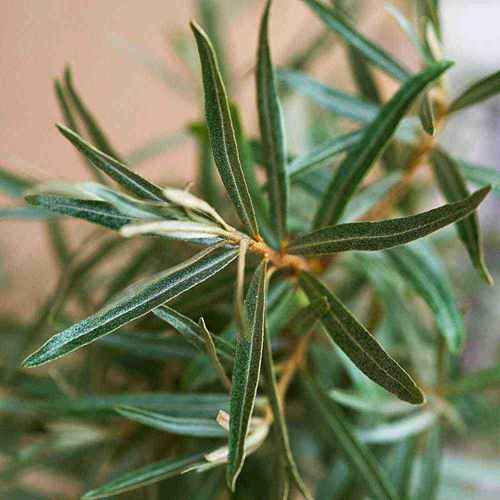 It has been used to aid digestion and treat cough, circulatory disorders, and pain in traditional Chinese medicine. 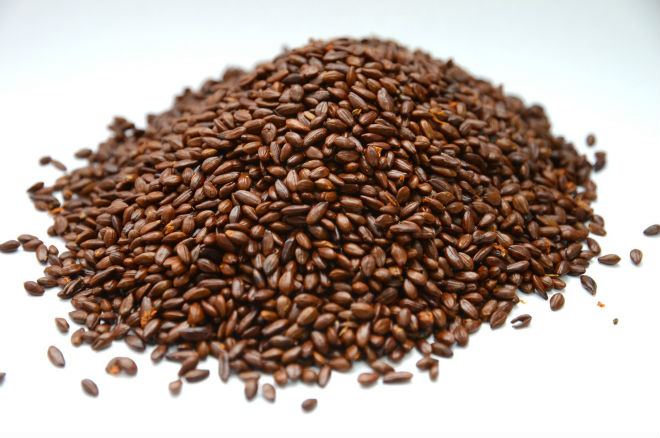 Oil from the seeds and fruits was used topically to treat chronic dermatoses, frostbite, eczema, psoriasis, cervical erosion lupus erythematosus and burns in Russia. Oil from the fruit has been used to treat thrombosis. Oil extracts have been used in ophthalmology to treat keratitis, trachoma, conjunctivitis, and injuries or burns of the eyelid. Ancient Tibetan medical literature documents the use of sea buckthorn for fever, cough, colds, inflammation, gynecological diseases, toxicity, abscesses, tumors (particularly in the stomach and esophagus), clearing sputum and laxative effect. Flowers are used as a skin softener in Tajikistan. Extracts from the leaves and branches of the plant are used medicinally to treat colitis and enterocolitis in humans and animals in Mongolia. Leaves are used to treat GI and skin disorders, and topically applied to treat rheumatoid arthritis in middle Asia. 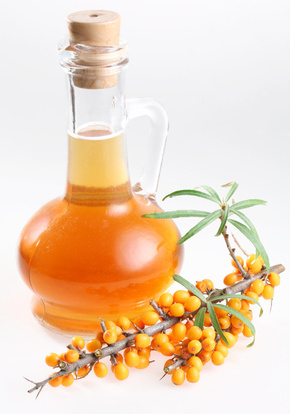 Internal consumption of sea buckthorn berry as tea, juice, or syrup is used for treatment of infections, colds, and flu in the traditional Austrian medicine. Sea buckthorn oils are used as a source for ingredients in several commercially available cosmetic products and nutritional supplements. 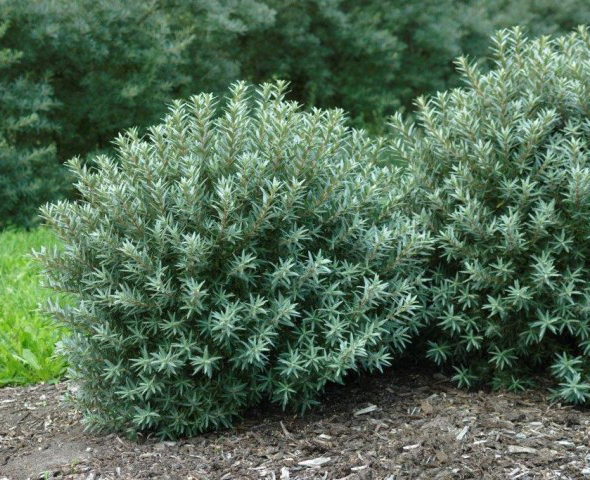 Sea buckthorn is a popular garden and landscaping shrub with an aggressive basal shoot system used for barrier hedges and windbreaks, and to stabilize riverbanks and steep slopes. Branches may be used by florists for designing ornaments. In northwestern China, sea buckthorn shrubs have been planted on the bottoms of dry riverbeds to increase water retention of the soil, thus decreasing sediment loss. 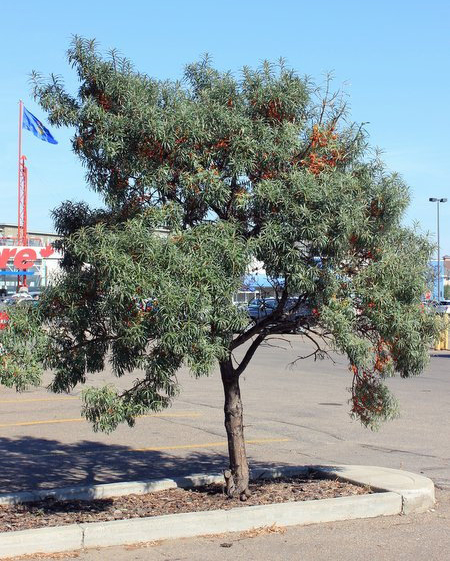 Sea buckthorn was once distributed free of charge to Canadian prairie farmers by PFRA to be used in shelterbelts. Sea buckthorn prefers cooler, drier temperatures and should not be left in humid, warm kitchens. Place loosely packed sea buckthorn fruit in the refrigerator, where it will keep for a week. Or, place sea buckthorns in the freezer to extend its lifespan for up to a year. The pregnant and breast feeding women are not recommended to use the Sea Buckthorn. Sea buckthorn can slow the clotting of blood. 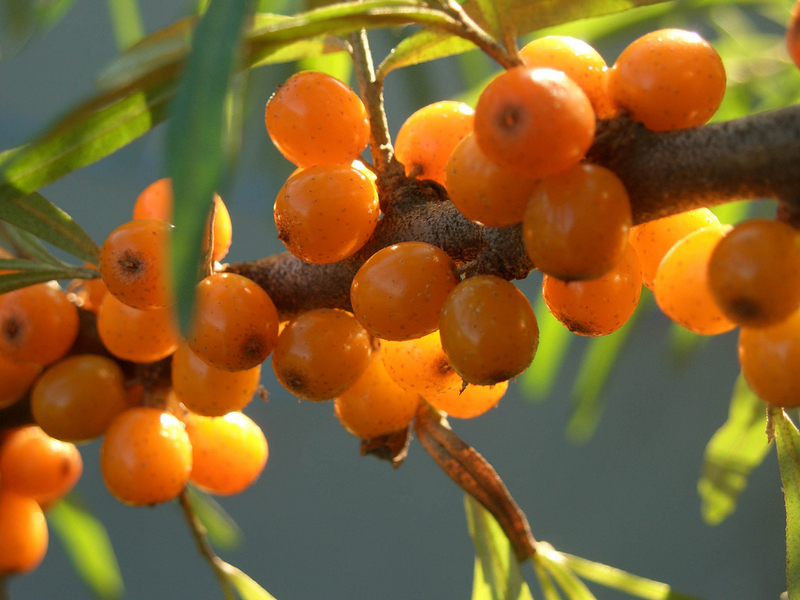 The antiplatelet and anticoagulant drugs could interact with the Sea Buckthorn. 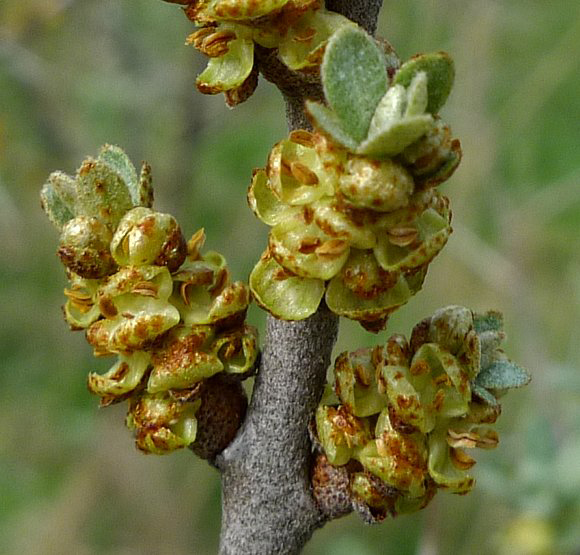 The use of sea buckthorn with these medications may raise the excess bleeding and bruising. It may interact with clopidogrel, ibuprofen, naproxen, enoxaparin, warfarin, aspirin, diclofenac, dalteparin and heparin. One should consult the doctor before using Buckthorn products along with NSAID drugs or blood thinners.